Updates to Martin R.'s profile since your last visit are highlighted in yellow. Martin R. Shackelford added a comment on his Profile. Martin R. Shackelford posted a message. Happy Birthday, Sue!!! Many more!!!!!! Martin R. Shackelford has left an In Memory comment for Elizabeth A. Spaulding. I always liked Betty. We were both in Thespians, and worked together on Legenda staff. Martin R. Shackelford has a birthday today. Martin R. Shackelford has left an In Memory comment for Hugh Schackelford Am History. The bio is his obituary, which I wrote (Martin Shackelford). Unfortunately, the index name is misspelled, but correct in the obit. To update, his wife died in October of 2017. Sons Martin and Alan continue to reside in Madison, Wisconsin. I would be happy to add a photo if that's possible. 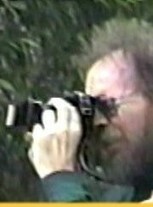 In the photo, I'm shooting a digital photo in New Orleans, January 2000. In connection with my research, I've also taken 3-D sets in Dallas. Martin R. Shackelford changed his profile picture. 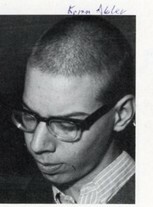 Martin R. Shackelford changed his "Then" picture. 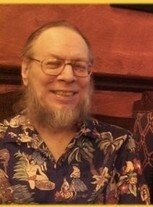 Martin R. Shackelford changed his "Now" picture. Martin R. Shackelford updated his profile. View.